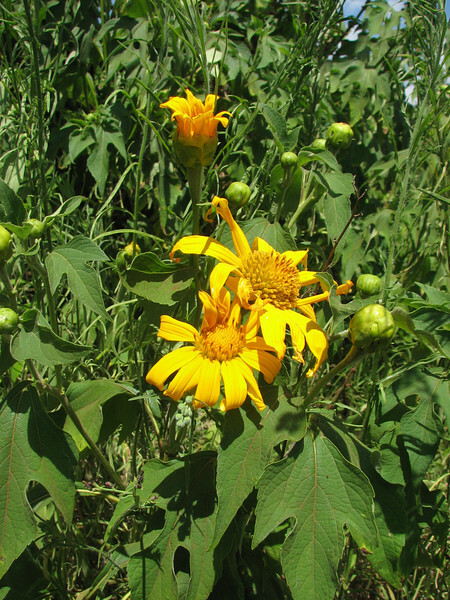 This is Tithonia diversifolia, a widely naturalized plant. Not sure about origin. Your site is helping me identify some of the plants I just photographed last week on Mt. Meru, Arusha, Tanzania. Thanks.